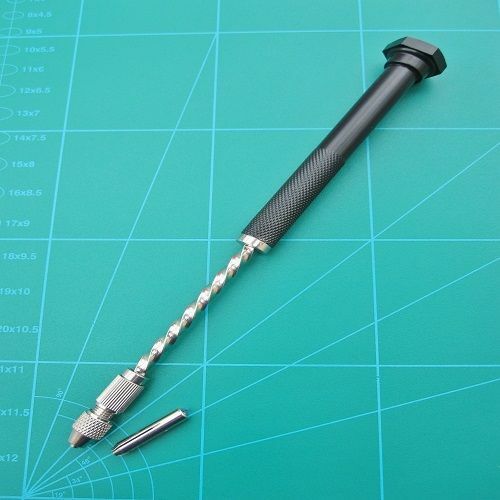 Archimedes hand controlled drill for making small precision holes using micro drill bits or burs. Push down on handle to operate, full metal construction with a black powder coated finish to handle. Supplied with two collects 1.6mm is the largest tool bit capacity.